This ring is both elegant and superb. It is not like any other ring you have seen. 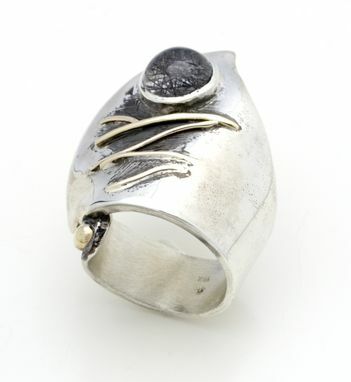 Made of authentic sterling silver, this piece also contains some 18k gold accents and a cabochon quartz in the center. All of these elements give the ring a very stylish appearance.